This year is almost at a close, but that doesn't mean what's old is forgotten! This was the best year ever for our little blog (thanks to readers like you! ), and so I think it's as good a time as any to look back on some of the posts that our brides loved reading. From fun style ideas to important and helpful wedding planning advice, we've put it all in this handy reading list for you to bring into 2015. 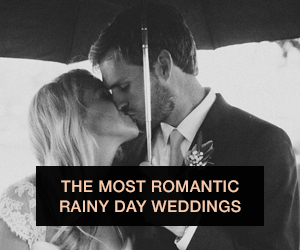 Read on for the 20 best wedding blog posts from Wedding Party in 2014! 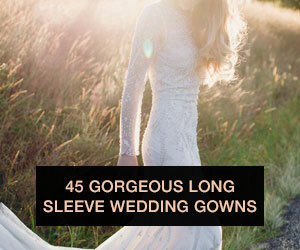 Read if: Jaw droppingly gorgeous long sleeved wedding dresses are your jam. Read if: You need some inspiration for what to wear to your next wedding. Read if: You love men's style and want your man to look his very best on the big day. Read if: You want a super chic wedding hairstyle that's not only gorgeous, but totally easy to achieve without a hair stylist. 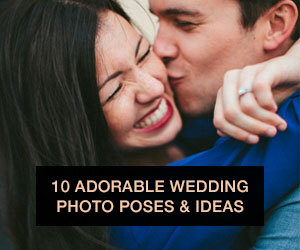 Read if: You're ready to swoon over tons and tons of romantic wedding photos. Read if: You're a bridesmaid planning a bridal shower, and don't know where to start. Or, if you're a bride trying to drop a hint to your bridesmaids! Read if: You want a touch of whimsy and unique ideas at your big day to entertain your guests. Read if: You're looking for a wedding celebration like no other, and need inspiration on cool elements to incorporate. Read if: You're looking for yet another great, unique idea to help add some more character to your big day. 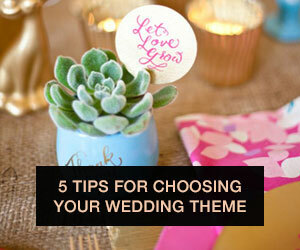 Read if: You just can't figure out what type of wedding theme would go best for your big day. 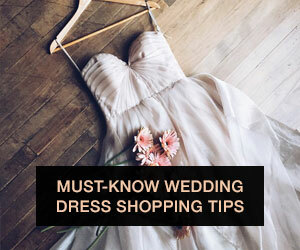 Read if: You're about to go shopping for a wedding dress and want to be prepared for it! Read if: You're trying to figure out those tricky wedding reception layouts and need ideas on what your tables should look like. Read if: You're about to hire your wedding photographer and want to make sure you have all your bases covered before signing a contract. Read if: You're about to book your wedding venue and (again) want to make sure you're not missing a glaring piece of info before crossing your t's and dotting your i's! Read if: You're having difficulty deciding who of your girlfriends and family members make the cut. Read if: You're an aspiring DIY bride and want to know where you can get the bargains for your wedding DIY supplies. Read if: You're just starting to plan your wedding and need an overall picture of what good (and not so good) ideas for your wedding are.